Can forty days last a lifetime? 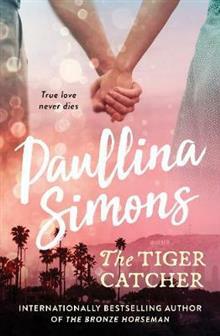 The Time Traveller's Wife meets One Day in the heartbreaking new love story from Paullina Simons. When Julian meets Josephine, it's love at first sight. After a whirlwind courtship, he proposes and she accepts. Everything is wonderful - on the surf... read full description below. Can forty days last a lifetime? The Time Traveller's Wife meets One Day in the heartbreaking new love story from Paullina Simons. When Julian meets Josephine, it's love at first sight. After a whirlwind courtship, he proposes and she accepts. Everything is wonderful - on the surface. Josephine is a girl with secrets ...Days before the wedding they have a huge argument and before Julian can make things right, everything goes terribly, tragically wrong. Unable to let Josephine go, Julian digs into her past and discovers so much more than he ever bargained for. End of Forever travels through the depths of sorrow to the dizzying heights of joy in an unforgettable story of love lost and found.